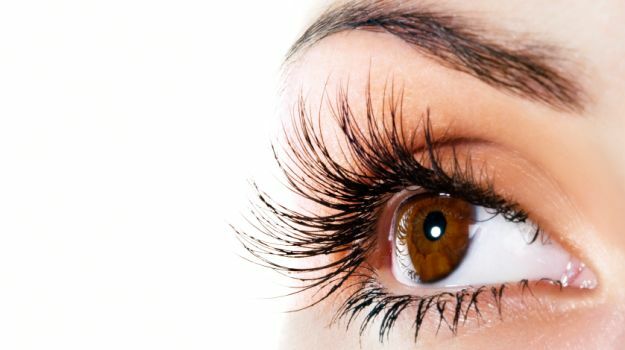 home › health tips › How to do Yoga for the Eyes ??? How to do Yoga for the Eyes ??? Years ago, as a novice at the Sivananda Yoga Vedanta Center in New York City, I learned a series of simple eye exercises. But since I could scrutinize a fly from 100 yards, I didn't need vision training—or so I thought. Two decades later, as I struggle to read freeway signs before missing my exit, the wisdom of those eye asanas is one of the things I can see more clearly as I grow older. Many age-related vision problems stem from a gradual loss of flexibility and tone in the eye muscles, which get locked into habitual patterns and lose their ability to focus at different distances. If you have the good fortune of excellent vision, and don't want to lose it—or, like me, you hope to improve your fuzzy eyesight&mdashevidence suggests that yoga may have a solution. Any student of the Sivananda lineage would recognize the core exercises taught by the late celebrated ophthalmologist William H. Bates. Bates claimed he could improve visual perception with palming, eyeball rotations, and vision shifting—the same Sivananda exercises I once treated with indifference. The late physician swami Sivananda considered sight the most abused of our five senses. The first chapter in his treatise, Yoga Asanas, describes an extensive series of eye exercises. As with any yogic practice, the purpose of these exercises isn't just health. According to Swami Sitaramananda, director of the Sivananda Yoga Vedanta Center of San Francisco, "The fastest way to bring the mind into concentration is through the eyes." Though it may seem fanciful, this correlation between eyes and mind has a profound physiological basis. Vision occupies about 40 percent of the brain's capacity; that's why we close our eyes to relax and fall asleep. And four of our 12 cranial nerves are dedicated exclusively to vision, while two other nerves are vision-related. Contrast this with the cardiac and digestive functions, which require just one cranial nerve to control both. While insight may be the ultimate purpose of eye asanas, vision improvement is also an important benefit. Surprisingly, it's not the muscle stretching and contracting that seems to have the greatest effect. Relaxation appears to be the single most important element of eye health. In an experiment applying the muscle relaxant curare to the eyes, patients experienced dramatic eyesight improvement. When Swami Srinivasan, director of the Sivananda Ashram Yoga Ranch in the Catskills, teaches a class, he instructs the students to begin with a few minutes of relaxation in Savasana (Corpse Pose). Then he asks students to sit in a comfortable posture, such as Sukhasana (Easy Pose), as he guides them through Sivananda's basic eye asanas. "These exercises set the right tone for asana practice," explains Srinivasan. "Our organs of sight are so sensitive and influential that the normal, competitive approach we bring to exercise can be softened through working with the eyes." The first exercise begins with the eyelids open, the head and neck still, and the entire body relaxed. Picture a clock face in front of you, and raise your eyeballs up to 12 o'clock. Hold them there for a second, then lower the eyeballs to six o'clock. Hold them there again. Continue moving the eyeballs up and down 10 times, without blinking if possible. Your gaze should be steady and relaxed. Once you finish these 10 movements, rub your palms together to generate heat and gently cup them over your eyes, without pressing. Allow the eyes to relax in complete darkness. Concentrate on your breathing, feel the warm prana emanating from your palms, and enjoy the momentary stillness. Follow this exercise with horizontal eye movements—from nine o'clock to three o'clock—ending again by "palming" (cupping your hands over your eyes). Then do diagonal movements—two o'clock to seven o'clock, and 11 o'clock to four o'clock—again followed by palming. Conclude the routine with 10 full circles in each direction, as though you are tracing the clock's rim. These eyeball movements provide balance for people who do work up close, like students who spend a lot of their time reading or working at computers. According to Robert Abel, author of The Eye Care Revolution, these brief exercises "compensate for overdevelopment of the muscles we use to look at near objects." You might be surprised to learn that the palming part of this exercise provides more than a pleasant respite. According to Abel, our photoreceptors break down and are reconstructed every minute. "The eye desperately needs darkness to recover from the constant stress of light," he says. "And the simplest way to break eye stress is to take a deep breath, cover your eyes, and relax." Along with palming, yoga in general benefits the eyes by relieving tension. While the effect of yoga on the eyes has not been scientifically measured, studies have shown that a simple exercise like walking can lower pressure in the eyeball by 20 percent. Vasanthi Bhat, a yoga teacher in the Sivananda tradition, includes asanas like Adho Mukha Svanasana, in her video, Yoga for Eyes. "These asanas bring circulation to the face, neck, and shoulders, which need to be energized and relaxed for improved vision," Bhat explains. So even if you have not been doing asanas specifically for your eyes, your overall yoga practice is helping your vision. Once students have mastered the basic eyeball exercise, Srinivasan introduces an intermediate series of eye exercises which he calls "shifting focus." While sitting relaxed and still, pick a point in the distance and focus on it. Extend your arm and put your thumb right underneath the point of concentration. Now begin shifting your focus between the tip of your thumb and the faraway point, alternating rhythmically between near and distance vision. Repeat the exercise 10 times, then relax your eyes with palming and deep breathing. As you practice this exercise, you are training an organ called the ciliary body, which adjusts the lens of the eye. Habitual focus patterns degrade the ciliary body's natural flexibility. Shifting focal points counteracts this stiffness by exercising the organ through its full range, much as we work complementary muscle groups in asana practice. The final eye asana taught in the Sivananda series stresses close-range focus. As in the shifting focus exercise, gaze at your thumb with your arm extended. This time move the thumb slowly toward the tip of your nose. Pause there for one second. Then reverse the sequence, following the thumb with your eyes as you extend your arm again. As before, repeat the sequence 10 times, then relax with palming. By training the eyes to focus on the ajna chakra (the "third eye," located between and just above the eyebrows) a yogi trains his mind to turn inward. On a more prosaic level, close-range focus exercises can forestall the need for reading glasses. Perhaps you've seen a picture of a yogi staring at a candle flame. If so, you've seen trataka, an eye-cleansing exercise described in the Upanishads and mentioned in other yogic texts, including the Hatha Yoga Pradipika. But as always with yoga, there's a connection between physiology and the more subtle aspects of spiritual practice. According to Dr. Marc Halpern, founder and director of the California College of Ayurveda, the practice of trataka decreases mental lethargy and increases buddhi (intellect). Although traditionally performed with a candle, trataka can use almost any external point of focus, like a dot on the wall. Concentrate your gaze on one object, without blinking, until your eyes begin to tear. Then close your eyes and try to maintain a vivid image of that object for as long as possible. Each time you practice trataka, extend the time you maintain the after-image. This exercise, traditionally believed to remove any disease from the eyes and to induce clairvoyance, also develops the skill of internal visualization. The intricate spiritual mandalas you may have see in Indian and Tibetan holy books are also designed for this purpose. Highly skilled meditators can visualize even the most minute details of these elaborate cosmic representations. By perfectly aligning inner and outer focus, these yogis seek a realization like that of Meister Eckhart, a thirteenth-century Christian mystic who once declared, "The eye with which I see God is the same eye with which God sees me." With benefits ranging from better vision to increased concentration and spiritual insight, these eye asanas will enhance your yoga practice. Along with a healthy diet and regular exercise, they will help protect your vision from the stresses of light, tension, and environmental toxins. So as you grow older, and hopefully wiser, you can direct a soft, insightful gaze at the world, learning to see self and other as one.